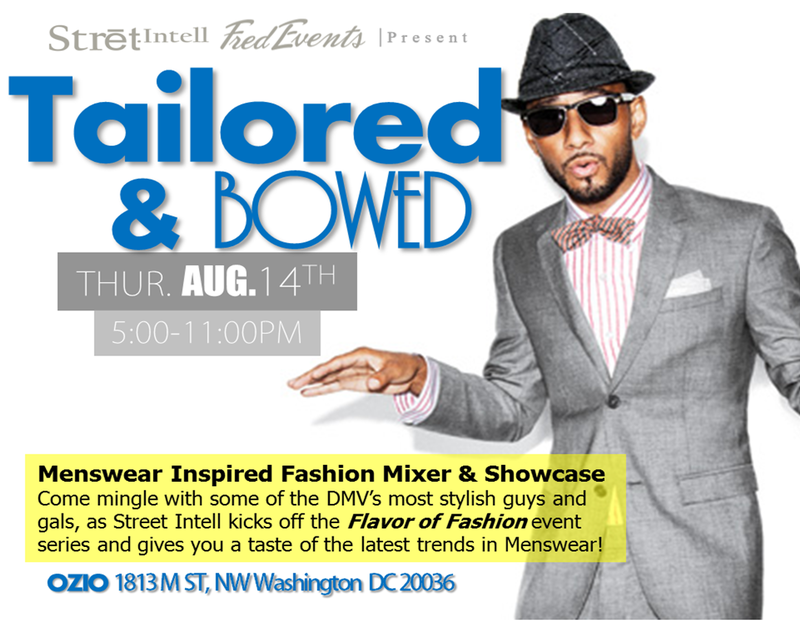 Street Intell and Fred Events have joined forces to not only entertain but educate the DMV on a few of the rising trends in Menswear Fashion. Come out and mingle with some of DC’s most stylish people and experience the different Menswear trends in a mini showcase from a few dapper and chic individuals. There will be food, drinks and style galore at this event. So make sure you’re photo shoot ready, bring your friends, and prepare to have fun at this exciting and new fashion networking mixer. 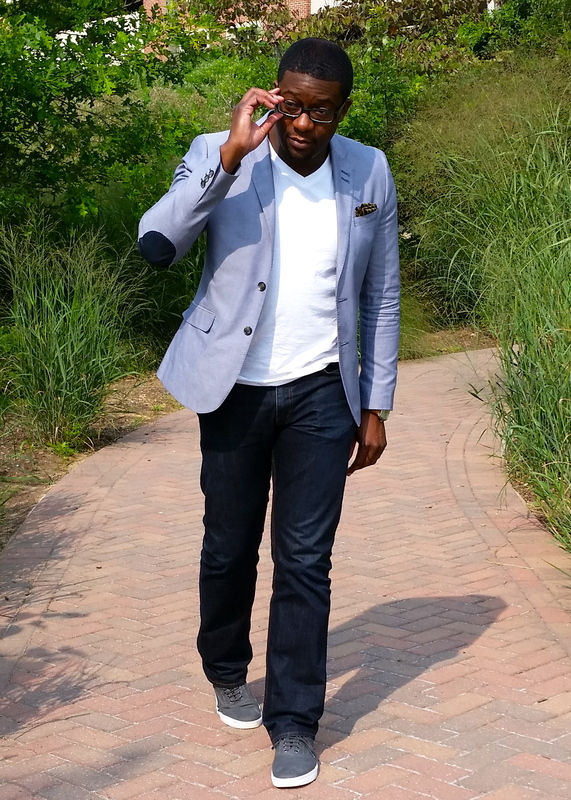 DC based image consultant, Norris Phillip has a fresh new take on men’s fashion with his polished yet approachable aesthetic. Norris works with clients to create high fashion looks at retail prices that can carry any gentleman from board room to the lounge in comfort and confidence. Image consulting goes beyond wardrobe changes, fashion is the first step in Norris’s agency, Shuffle Designs’ image plan. Norris works with you to improve all areas of life by discussing posture, poise, conversation and how to approach the fast-paced, ambitious lifestyle that is inevitable in the DMV. Want to learn more? Check out http://www.shuffledesigns.net to get started! 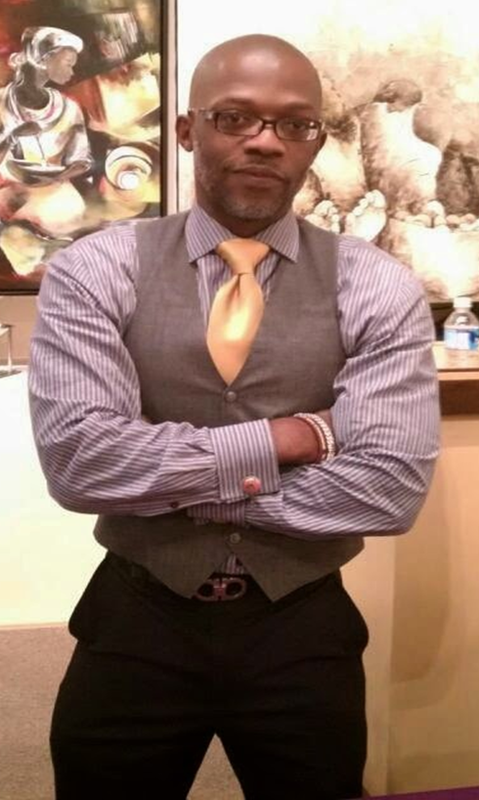 James Hackley is the owner and Chief Style Officer (CSO) of Bespoke Not Broke. Bespoke is a wonderfully unique men’s boutique that specializes in vintage and upscale resale clothing, shoes, and accessories. The company was launched to help bridge the economic gap that has always existed between the “haves” and “have nots” when it comes to fashion and style. Many of the unique items found on the site are directly linked to being owned by professional athletes, doctors, lawyers, lobbyists, Congressmen and C-level business executives in the Washington D.C. area. However, Bespoke also makes regular trips from coast-to-coast scouring many of the Nation’s best consignment, vintage and thrift stores in search of elusive custom pieces. Nicolette Orji also known as Nikki Billie Jean is the Founder, Owner & Designer of Billie Jean Bowties and Designs she is also the Editor-in-Chief of the popular fashion blog AllThingsAnkara.com. 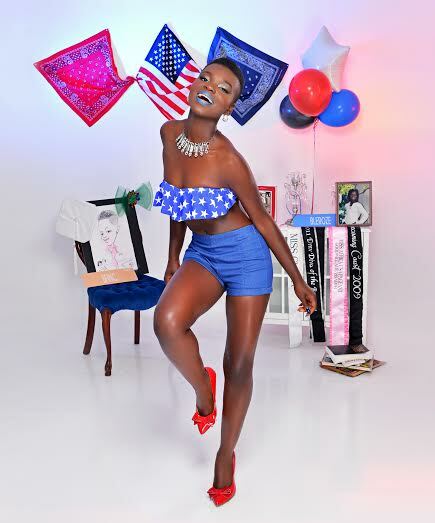 She is the Nigerian-American designer in charge of Billie Jean Bowties & Designs, an African menswear inspired accessory line that caters to both men, women, and children. 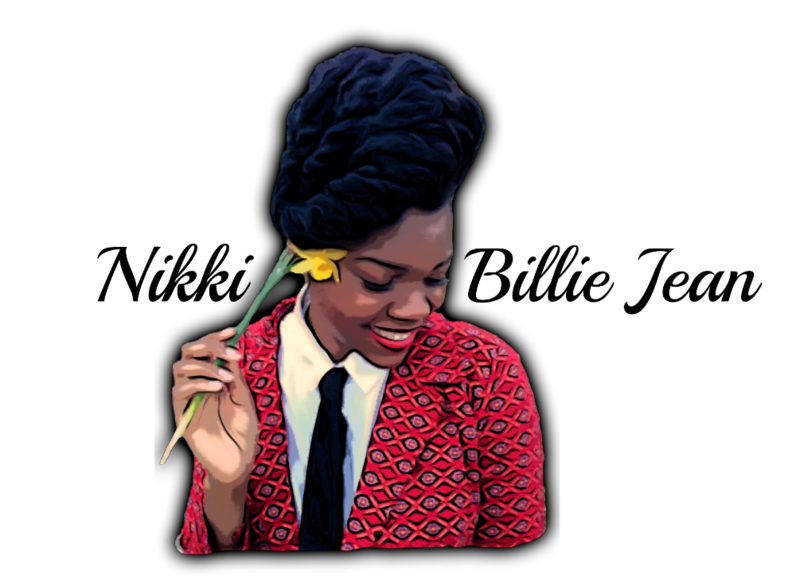 Her sense of fashion is inspired from the 60/70s era, her African roots and celebrity singer Janelle Monae. Quvenzhané Wallis has been rapidly making her ascent. The 10-year-old child star known notably for her Oscar nominated role in Beasts of the Southern Wild has quickly been adding lots of firsts to her resume. Not only has she been stamped as the youngest to ever receive an Academy Award nomination, she has since moved on to become the official ambassador for Italian designer, Giorgio Armani. Her campaign marks the first time a child star has been chosen to represent the line. Although only but so young Quvenzhané is constantly working— making an appearance in the award winning drama, 12 Years a Slave. Wallis was more recently casted as the lead role in the reboot musical film Annie —alongside co-stars Cameron Diaz and Jamie Foxx, which is set to premiere later this year. We’re excited for all her accomplishments and can’t wait to see more amazing opportunities develop in her future. CEO, Kelli Meade is energized by technology and has a natural passion for fashion that fuels her desire to design products that girls like her will go crazy about. Through simple curiosity and research Kelli found that women love trendy and fashionable items but also enjoy the latest gadgets. She also discovered that there was a need for more fashionable tech accessories and decided to make it her mission to re-design today’s consumer electronics. About a year ago, she began creating and designing earphones that she liked to wear and with nine years of working on fashion design, she developed the look and feel of GemPhones. 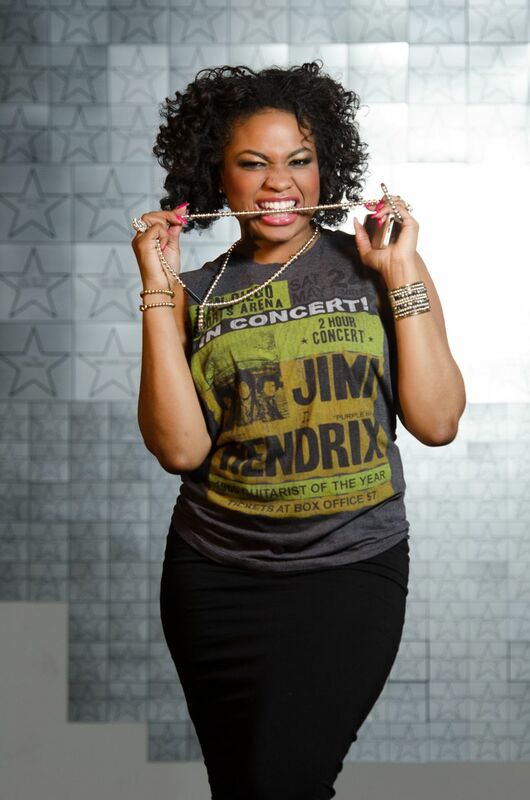 GemPhones was inspired by her love for pop culture. As a 90s kid Kelli recalls getting excited when new music videos would be released. In these videos is where she saw the hottest fashion and the coolest gadgets. She wanted to recreate that feeling and expression through GemPhones. What is it like being the CEO of a tech and fashion startup? I’m not a coder, but I have enough knowledge about wireless networking and computer engineering to be dangerous. But with a tech and fashion startup, none of that matters because I needed technology and I loved fashion. No matter the type of startup, you should strive to be an expert at what you are creating. That means investing 10,000 hours into your craft AND industry(ies). This is my first company and the learning curve has been steep. I had to learn how to be a CEO, understand important techniques used by successful designers, and quickly become an expert in both the tech and fashion industries. GemPhones keeps me busy, but I wake up thanking my heavenly father for strength, clarity, and the passion he pours into me every day. I have not worked a day since I quit my government job in September 2013. I’m simply doing what I love. Has being a female posed any challenges for you in the male dominated industry of Technology? Being a female in the tech industry is about showcasing a differentiating point of view and there will always be challenges when presenting a foreign concept in a mature industry like consumer electronics. I remember chatting with a guy at a tech startup mixer and he was simply amazed at the creativity and uniqueness of GemPhones. His first reaction was, “It takes a female to come up with an idea like this.” I will always remember that conversation because in one statement he summed up the value of a female’s perspective is in the technology industry. My true challenge however is the commitment to sharing with as many little girls as possible that their viewpoints are valuable and wanted, especially in the technology industry. One of GemPhones goals is to show young girls how cool tech can be. What role do you hope Gem Phones will play in the consumer electronics industry? GemPhones are the very best consumer electronic accessories combined with the most beautiful designs. With ubran elegance, we introduce imagination and self-expression into an industry whose designs are traditionally dull. For us, design is not just how it looks, but how it works and feels as well. That is what our audience appreciates and that is our role; to give the lovers of music and fashion a product in tech. Give at least 2 easy style tips for consumers looking to accessorize with Gem Phones? #1 Side body chain: For fun, flirty girls, GemPhones looks great as a side body chain. Wear a pair of your best skinny jeans, a baby T-shirt, and attach your GemPhones to your mobile device. Slip your phone in the back pocket for a super cute side body chain look. This look is a GemGirl fav! #2 The wrap necklace: Not using GemPhones? Want to keep the gorg set of GemPhones on? 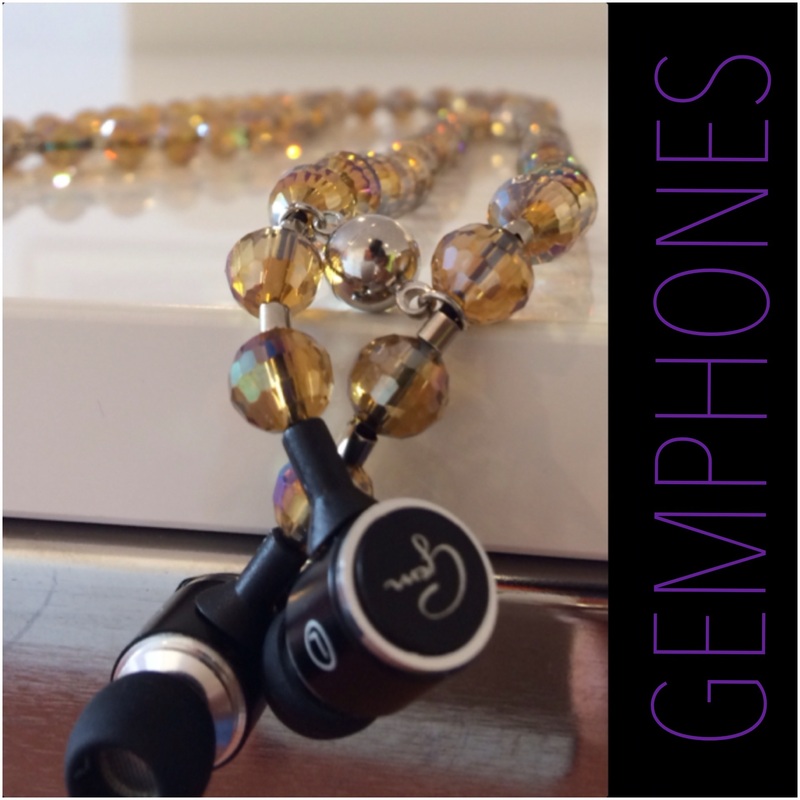 Unplug your GemPhones, snap the earbuds to the back of neck, then wrap the lower half of the beaded cord around your neck once. You’ve just created the ultimate conversation piece. People behind you will ask “Is that your earphones?” and people in front of you will compliment your necklace. Plus it’s ridiculously functional. What is your Street Intell? The streets have been making tech and fashion look good ever since the boom box was beating on our shoulders in the 1980s. GemPhones is bringing back that feeling. Support this emerging entrepreneur and grab yourself a pair of GemPhones by clicking here. V.G. Waymer is an artist living and working in Hampton, Virginia. She was born in 1960. 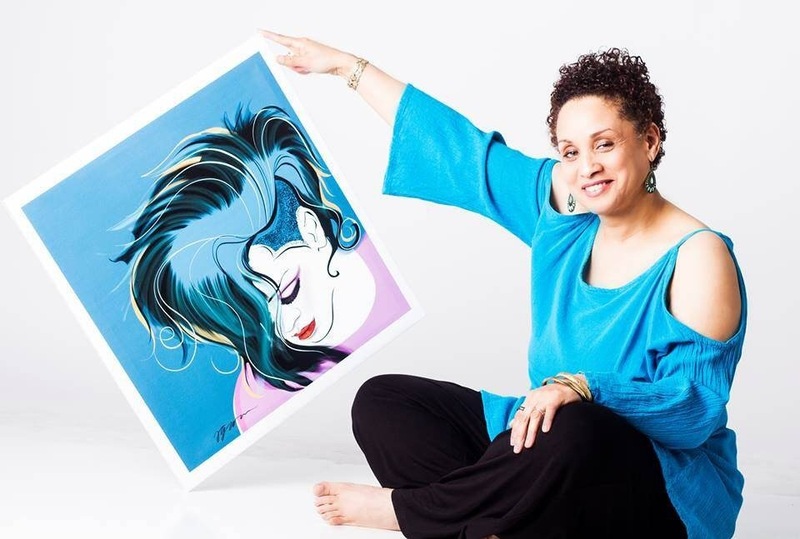 Her A.A. in Fashion Illustration and Graphic Design was received from New England School of Art & Design at Suffolk University where she studied with Frank Raneo, a noted fashion illustrator. Prior to that she attended Pratt Institute where she was enrolled as a Fashion Design major but soon realized that her passion lay with illustration rather than the actual construction of apparel. Subsequently, after raising three children, V.G. 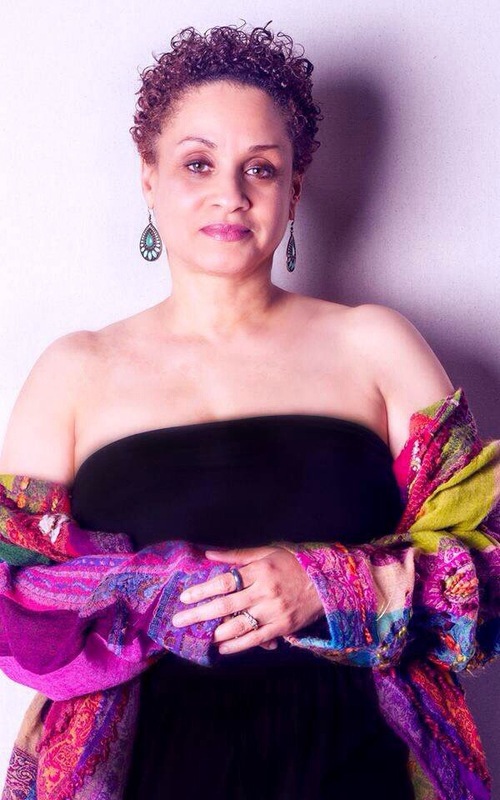 pursued a certification as a life coach focusing on helping artists to regain effective work habits and spark new avenues of exploration in their chosen medium. As a result V.G. 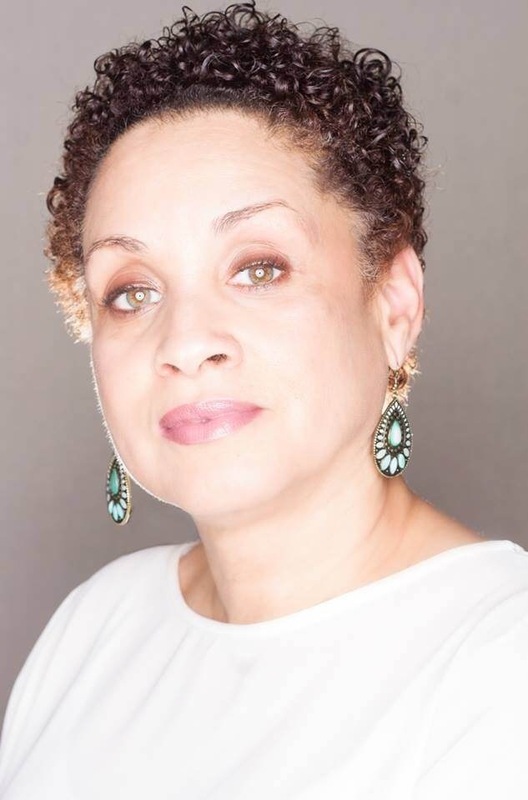 has spent the last ten years in experimentation and exploration of many other types of art including lampworking, mask making, visual merchandising, costuming for an Afro Cuban dancer, and lately body painting under the name of Besitos Body painting. She studied body painting in 2011 with John Vargas, a world renown body painter. As Besitos owner and chief artist V.G. has provided her services to photographers and dancers in her community. Spending time creating is an important cornerstone of V.G.’s life as an artist. I have all types of labels as most women do. Three years ago I decided that I really needed to diligently pursue my art. I had to put in the time like I’ve never done before (due to family obligations). We’ve raised three beautiful people and I often didn’t have the luxury of being a “starving” artist. Instead I found jobs where I could put my creativity to work, learn about the business end of art and also gain an understanding of what I could do “instead.” It’s true that you can be very good doing something you’re not passionate about. The trick is to take those lessons and use them when you really get to do what you LOVE! I invested a lot of effort into perfecting my skills, time management, a great work ethic, attention to detail, and building relationships; I wouldn’t have had it any other way. Now I am working to find a balance between the desire to draw (every waking moment) and the need to get more sleep. I am beginning to understand more and more that self-care helps you to produce better. It’s always about balance. Did you always know you had a gift when it came to creating art or did it take some event in your life to push you in that direction? I’ve always known that I was an artist. My mother is a classical pianist and my dad played several instruments and loved Jazz. Their friends were musicians, artists and dancers so I grew up experiencing creativity. I used to draw the Sunday comics when I was a kid. I originally wanted to become a dancer and did so until I was 16, then I injured my knee. After surgery and months of physical therapy, dancing seemed less of an option than becoming an artist. It just felt right… better than right! Do you take time to sketch out your illustrations first while staring at an image or is it produced on the spot through your own creative interpretation? I mostly use photos and fashion videos for reference, generally I block out the pose with an initial sketch. From there, I lay in color quickly where everything seems to fall into place and then I have to be careful to just leave it be. It becomes very hard not to add, just one more line! Sometimes, depending on my mood, drawing can be a release but I seem to tread a thin line between letting my creativity take over and being overly critical of the finished product. As I mostly work digitally, I usually peel back the layers once I’m done. Often the best drawing occurs in the first few minutes. Where does your inspiration to create such beautiful pieces come from? Thank you for saying that! Inspiration is everywhere but it takes living in the moment. That can be hard to do when you’re moving through everyday life. Sometimes it’s something that you see in passing and other times it’s as a result of watching a video, flipping through a magazine or for me listening to some House music! Name some artists that inspire you and explain why? I am always inspired by Gustav Klimt and Aphonse Mucha. My heroes during college were and still are Antonio, Viramontes, and Stavrinos. Antonio for his use of color and stylization of great models like Pat Cleveland who I adore! Viramontes because of his spontaneity and how he would lay down a line or swath of black like nobody’s business. As a student I was awestruck by him and used to draw with graffiti markers just to keep myself from doubting my line and my style. When using graffiti markers once your commitments are made, you can’t erase them. Stavrinos’ attention to anatomy and drawing from Polaroids is something that I’m still mindful of. My professor’s mantra was, “Remember there are bones underneath that skin!” Today I am inspired by David Downtown, Donald Robertson and Stephen Stipleman. If you want to do fashion illustrations then you have to study the “masters.” What they saw in the model and the fashions are often represented in a nuance of color, a pose and a simplified brush stroke. If you could teleport anywhere in the world where would that be? I would like to go back in time and have an hour with Diana Vreeland. I would love to watch Antonio draw. A place … teleport me to that house where Julia Roberts lived in Eat, Pray, Love in Italy or Indonesia; as long as there is a space to draw and do the things that make me happy. “What makes me happy?” Fage yogurt with blueberries and honey… An avocado in the afternoon… honestly, I think of all the things I could say in addition to my family and my dog Mojo… remembering that moment when I realized my goals are within reach is what makes me happy. I find happiness in someone being interested in my work. Ultimately, happiness is finally being at peace with who I am in this moment. As an artist, what impression do you hope your work leaves with you audience? That’s a hard question. I want people to feel something when they look at my work. Whether it inspires them to want to try a certain style or feel the intent of the clothing that I’m drawing… I think that would be enough for me. I think most artists draw for themselves first and then their audience. It’s a very “inside” game. It’s how you develop your own style. My mantra and advice to other artists is to create. Paint, draw, sketch, write, blog, dance, sew, sing, act, cook, crochet! Anything that gets at the heart of what an artist’s true forte might be. This exploration has enriched my understanding of an artist’s work process and has allowed me to utilize my experiences to guide young artists in my community. 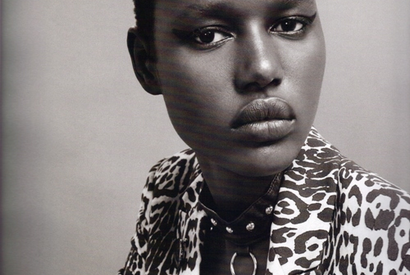 Back on the Melbourne scene, Ajak Deng is featured in an editorial spread in Miss Vogue donning items from the recently launched River Island collection and other top luxury brands such as Balenciaga, Isabel Marant and Givenchy; just to name a few. Miss Vogue which is considered to be Vogue magazine’s younger sister was created to talk directly to young women who love fashion and beauty, while still embodying the authoritative spirit of its parent publication. It appears to be focused on attracting the trendy and chic 20 something year olds by highlighting some of their favorite models and affordable ready to wear high fashions. In the 15th Issue of Miss Vogue Australia, Sudanese Model, Ajak Deng shares a bit of insight on her career in modeling, favorite designers to work with and some other fun “getting to know you questions” about where she shops and eats. | Read more from that interview here. Just last month we highlighted fashions’ new “it girl” Kendell Jenner and we even made reference to the potential of her making the cover of Vogue magazine before her eldest sister, Kim Kardashian. Well this past Friday, Kim and her fiancé Kanye West set the record straight and appeared front and center on Vogue Magazine’s April Issue, beating Kendell to the cover. In anticipation of their up and coming wedding, KimYe pulled together an exquisite shoot for Vogue magazine; which turned out to be a lovely family affair. They both posed in designer garments, serving up an entire plate of sensuality; all while gushing over their beautiful daughter, North West. Now you know it just simply wouldn’t be Kim and Kanye without a bit of controversy. Many people have been excited for the pairs Vogue Cover but a few “fashion connoisseurs” have been raving and ranting about this unexpected pick. Fashion crazed Vogue fans and a few celebs have found it rather odd that the couple would be chosen to cover Vogue magazine. Many have even chastised the couple via social networks claiming that “they bought their way onto the cover”. However you see it, they are currently the most talked about couple when it relates to being on top of the fashion game. Personally, I think this was a strategic move by Anna Wintour and well played I might add. Whether people like it or not everyone is tuned in and focused on Kim, Kanye and more importantly, Vogue Magazine. What are your thought? Chime in below.